Love dining alfresco? You’ll love Tice. We’ve designed this 6-seater dining table and benches to sit perfectly with the rest of our Tice range. Why not mix and match between the colours for an eclectic outdoor look. Tice has a soft-looking shape and bold colour options. Go for grey to keep in tone, or try teal or chartreuse for a striking look. 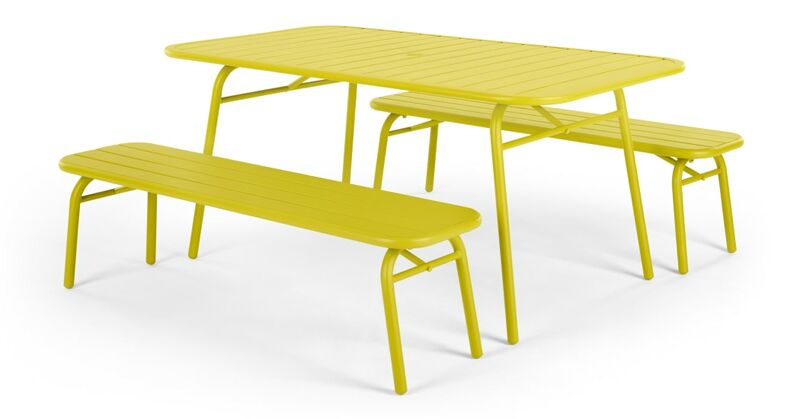 In powder coated steel, you can leave this dining set outdoors all year round.